As the twenty-first century unfolds, computers challenge the way in which we think about culture, society and what it is to be human: areas traditionally explored by the humanities. In a world of automation, Big Data, algorithms, Google searches, digital archives, real-time streams and social networks, our use of culture has been changing dramatically. The digital humanities give us powerful theories, methods and tools for exploring new ways of being in a digital age. Berry and Fagerjord provide a compelling guide, exploring the history, intellectual work, key arguments and ideas of this emerging discipline. They also offer an important critique, suggesting ways in which the humanities can be enriched through computing, but also how cultural critique can transform the digital humanities. 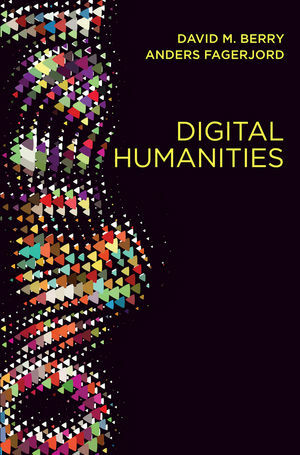 Digital Humanities will be an essential book for students and researchers in this new field but also related areas, such as media and communications, digital media, sociology, informatics, and the humanities more broadly. David M. Berry is Professor of Digital Humanities at the University of Sussex. Anders Fagerjord is Associate Professor of Media and Communication at the University of Oslo. "This important book addresses significant questions about the role of digital humanities in scholarship today. Concise and comprehensive, it is essential reading and a major addition to the emerging critical appraisal of the field." "This is a compelling and exciting analysis of the ways in which the encounter between the humanities and computers is reshaping and remediating our shared cultural and intellectual world. David Berry and Anders Fagerjord present an inspiring manifesto for a pluralistic and critical digital humanities and provide an essential roadmap for anyone seeking to understand our emerging digital cultures." "This book covers excellent ground. It draws together and analyses developments and critical moments in the growth of Digital Humanities in ways that clearly show their importance and impact." "as a clearly articulated, accurate, and concisely critical introduction, this book is exemplary. … I would recommend this volume to any newcomer who wanted a fair and true institutional history of the digital humanities. … a benignly deceptive introductory overview that also serves as a guiding critical compass for the future of the digital humanities."